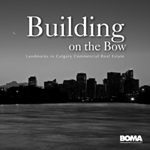 The BOMA Calgary News is published in the Business in Calgary magazine. For advertising inquiries, please contact Business in Calgary. 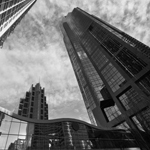 The BBG is a definitive guide for downtown office buildings, suburban office buildings, industrial and retail building information, and market commentary. If building information changes, is no longer current or is not presently listed, please notify BOMA. We will update the Digital version quarterly. Building information listings are free. Discover how much we’ve grown this year with an in-depth look at our successes and initiatives. 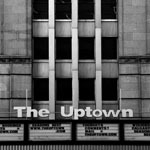 A collection of 63 high-resolution monochrome images is the first of its kind to capture the visual essence of Calgary’s commercial building evolution from the late 1800’s to the present day. Would you like to submit an article for the BOMA Calgary News quarterly or the BOMA Blog? Please review the submission process.